* Backup Blu-rays to an external hard drive for storage or easier playback on tablets, TVs or smartphones. * Either HDD or external hard drive has a giant storage, 16TB maximally. It is a good way to save Blu-ray movies. * They will never get scratched, the playback is more flexible, not limited to Blu-ray players. * There is no native Blu-ray playing feature is available on a PC running. 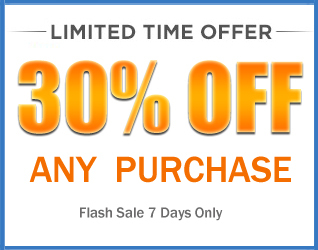 Why choose Acrok Blu-ray Backup Software? Acrok program is more than just a Blu-ray backup software, it’s a All-In-One video conversion software, Blu-ray Ripper, H.265 Video Converter, 4K Video Converter and 2D to 3D Converter. With Acrok Blu-ray backup software, the whole process will be much easier as this program stands out for its powerful and attractive features among numerous similar programs for copying Blu-ray to computer or external hard drive. It not only allows you to copy Blu-ray to PC at fast speed and high quality, but also crack and convert protected Blu-ray completely to 200+formats and hot devices. Including Galaxy S10/S10 Plus, iPhone XS/XS Max, iPad Pro, Surface Pro 6, Google PixelBook, Samsung Galaxy Book, Huawei MediaPad, Kindle Fire HD, etc. For personal use, it provides hundreds of output format presets for 4K and 1080P videos, such as Apple ProRes 422 for Final Cut Pro, AIC MOV for iMovie, MPEG-2 for Premiere Pro/Sony Vegas Pro, DNxHD codec for Avid Media Composer, H.264 MP4 for any smartphone, media player or tablet video players, and more formats for better editing, playing, and burning. 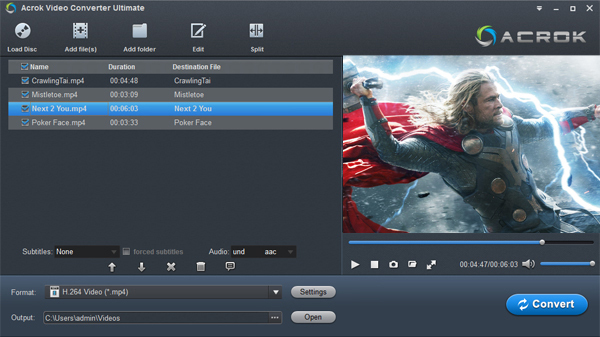 This Blu-ray Backup Software is also available to customize the output resolutions to any size the users want. How to backup Blu-ray movies to computer or external hard drive? 1. Install and run this Blu-ray backup program on your PC, insert Blu-ray disc into Blu-ray Drive. Click “Load Disc” to load the Blu-ray files. Here Blu-ray disc, Blu-ray ISO, Blu-ray folder, DVD disc, DVD ISO/IFO, DVD folder and other formats are supported as well. 2. Click “Format” > “Disc Copy” > “Directly Copy-(Only for Blu-ray/DVD)” or “Full Disc Copy-(Only for Blu-ray/DVD)”. Then click “Convert” button to backup Blu-ray movies to computer. 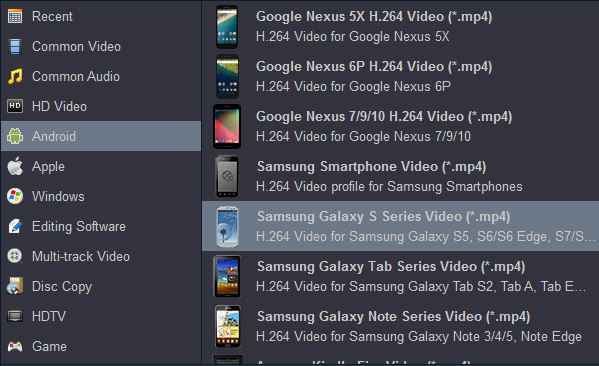 You can connect your external hard drive to computer then transfer these videos to external hard drive freely. Note: Due to format compatibility, you can’t play back-up Blu-ray movies directly on other devices. For playing all the movies freely, you have to convert Blu-ray movis to your device supported format. For example: For playin your Blu-ray movies on your device such as Galaxy S10 Plus, you have to convert Blu-ray to Galaxy S10 Plus supported format. H.264 MP4 is your best choice.